I have made a few batches of fried pickles in my day. They have always been delicious. However, pickles are virtually calorie free, so why pack on the calories with oil and thick batter? Oven frying is the way to go. These pickles are spectacular. No lie, these are better than fried pickles. You can bake these and not have to worry about splattering hot oil, soggy pickles, or cleanup. I was able to enjoy hot, crunchy oven fried pickles without much effort at all. Also, if you are anything like me, you love to dip your pickles in ranch. I can dip these in ranch and enjoy and entire batch for less calories than regular fried pickles without ranch. That’s insane. And these are insanely good. This recipe is really one that goes step by step once you get going. 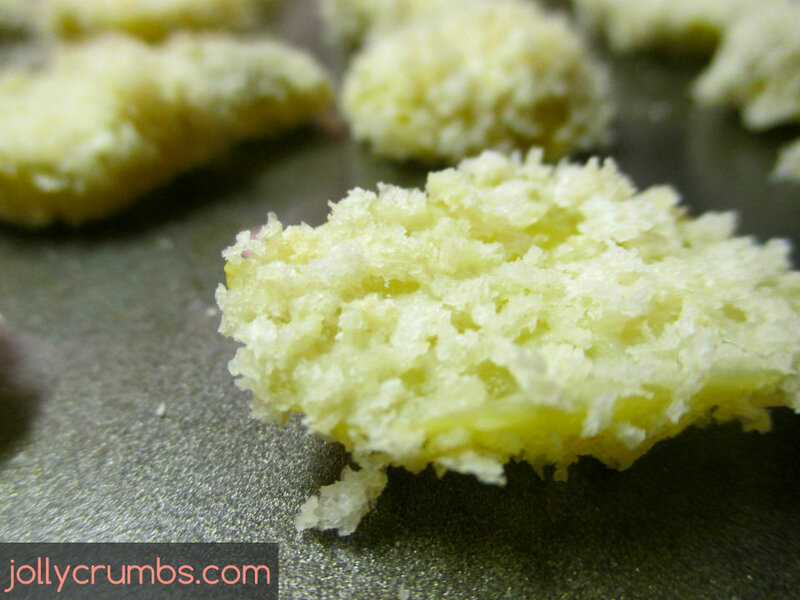 But before you actually get started on making the pickle chips, you will need to toast your panko crumbs. Heat a small skillet over medium high heat. Once it is hot, add the panko bread crumbs. Toast lightly for about 2 minutes. Make sure you stir these continually so they don’t burn. You won’t really notice a color change when they are toasting. 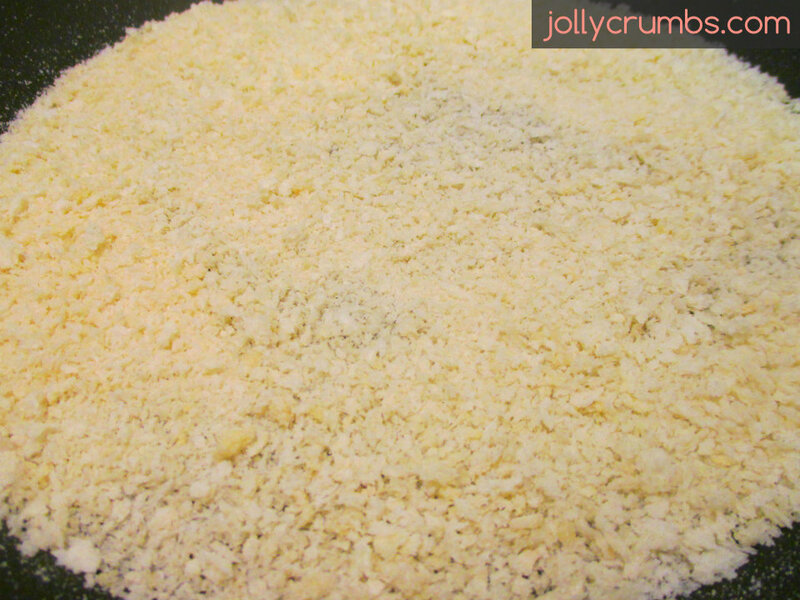 Once the panko bread crumbs are toasted, it is time to get your assembly line together. Place the toasted panko into a bowl. Then, place the flour in another bowl and the egg whites in a separate bowl. So, you should have a bowl for each of the three ingredients. Pat the pickle chips dry, or at least pat out the majority of the liquid from the pickles. Here is where the assembly line comes in. You will follow these steps for each pickle chip until you run out of ingredients to use. Place a dry pickle chip into the flour. Shake off any excess flour. Then, dip it into the egg white. Finally, coat the pickle in the panko crumbs. Arrange the pickles on an ungreased baking sheet. Bake the chips for 8 minutes on each side, or until the pickles are crisp and lightly golden brown. My, my, my are these pickle chips delicious. I’ll admit, I was skeptical that these would be anywhere near as delicious as fried pickles. I am no longer skeptical. These surpass fried pickles. If I had not shared this batch with Samuel, I could have eaten this entire batch for less calories than a few fried pickles. These are incredibly crunchy and they don’t get soggy like fried pickles do. I have made fried pickles several times, but these oven fried pickles are 100% the way to go. These are so guilt free, I was able to have a small serving of ranch dressing to dip them in. I will be making these again without a doubt! Preheat oven to 400°F. Heat a skillet over medium high heat. Add panko and toast lightly, about 2 minutes. Stir continually. Place the toasted panko bread crumbs into a bowl. Place the flour in a second bowl and egg whites into a third bowl. Pat the pickle chips dry. Dip the pickles into the flour, then egg whites, and then into the panko crumbs. Arrange the pickles in a single layer on an ungreased baking sheet. Bake for 8 minutes on each side, or until the pickle chips are crisp and become slightly golden. 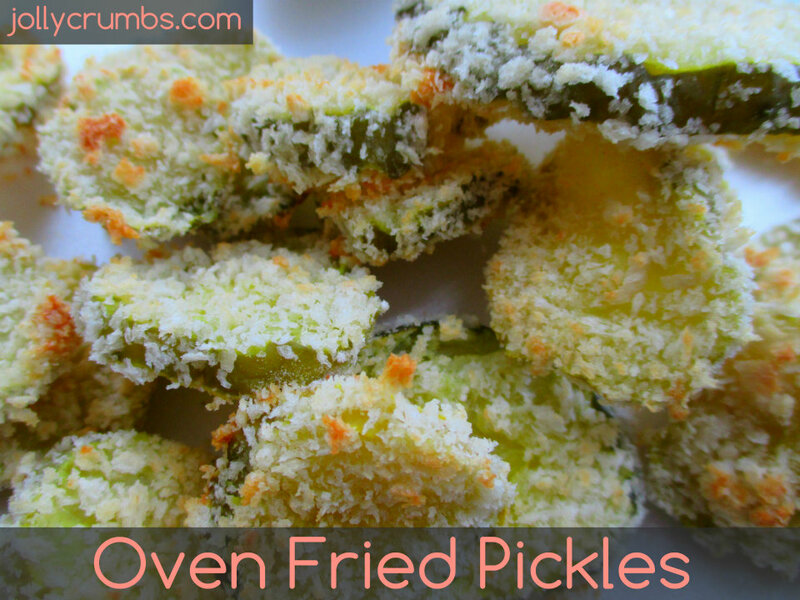 I have never tried fried pickles before but I feel like my kids would love these! 🙂 I also love the idea of them being baked rather than fried. I’m like you and love my fried foods but I’ve had to cut WAY back to eat healthier and lose weight! You haven’t lived until you’ve had fried pickles, it’s a must! I love healthy “frying” via oven. It saves calories and it doesn’t feel as heavy.